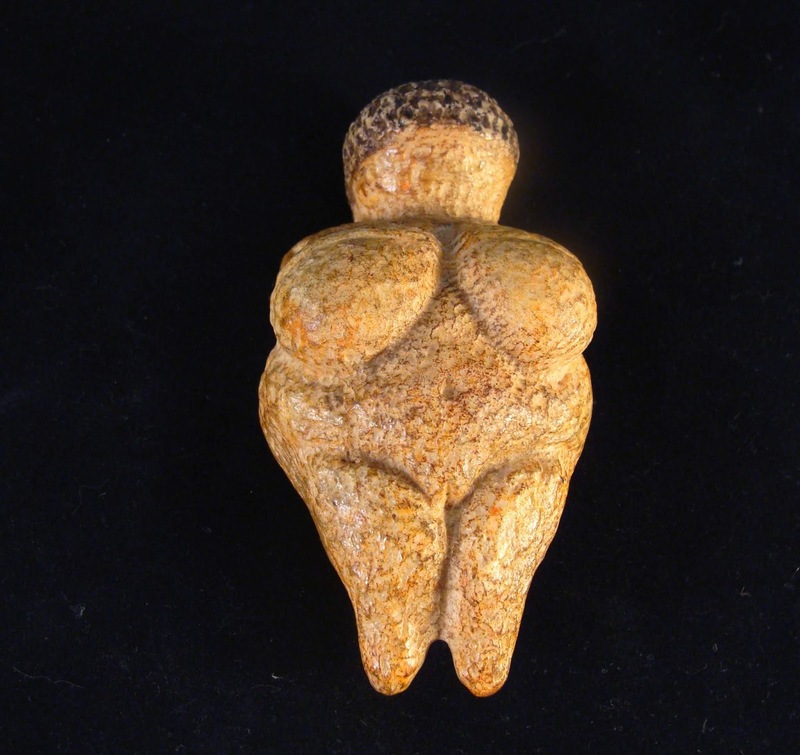 Clay figurines from 50,000 years ago may be our earliest example of the human understanding of the importance of childbearing. If the clan or tribe didn’t reproduce itself, it would not survive. Most of these clay figurines are of women. The ones with large bellies or breasts might have been made to resemble pregnant or breastfeeding women. How they were used in the life of the tribe will never be fully known, but it is not far-fetched to say they in some way show the awe and mystery about human life. Fast forward to 10,000 years ago to the development of agriculture. Fertility of the earth becomes as important of the fertility of the tribe. If the crops don’t grow, people die. Similar female figurines continue to be found in the earliest settlements where agriculture was practiced. Eventually, a pantheon of gods becomes the norm and it is usual the female deity that assume the role of fertility. The Greek goddess Demeter is known as the grain goddess for her role in propitiating the harvest. Ceres fulfills the same role in Roman mythology. Juno is the Roman goddess of marriage and childbirth equivalent to the Greek goddess Hera. And the list goes on. However, when monotheism is developed by the Israelites in Canaan, a curious switch begins to occur. Because the Israelite god, Yahweh, is portrayed as a male and the only god to be worshipped, the goddesses disappear. Human mythmaking up to this point had always acknowledged the role of the female as vitally important. It is she who gives birth. But there are several instances in the Torah, or Old Testament as it is known in Christianity, where the male god takes over this role by making barren women give birth. Both Sarah and Abraham were elderly and had no children. In this instance, god “intervened” and caused Sarah to bear a child who was Isaac. Isaac’s wife was also barren. After twenty years of marriage, god again intervened and twins were born to Rebekkah, one of which god loved and the other he hated. The New Testament repeats this theme when Elizabeth bore John the Baptist. The Holy Spirit comes to Mary and lets her know she too will bear a child without the intervention of a human male. While the theme of god’s intervention in childbirth is used to foretell a story of great leaders of the Israelites in the Old Testament, it also is used to show that there is no need for a female deity for this purpose, the male god can handle it. But what is the impact of these stories? Not only are female goddesses eliminated, but the male god even usurps the women’s role in bringing forth new life. This is a far cry from the revered role played by women in other myths. Does this impact women? Of course it does. Does it further reinforce the patriarchy which dominates the Judeo-Christian tradition? Of course it does. Attorney Jeff Sessions used Romans 13 to justify the separation of children from their parents who cross the border with Mexico illegally. The Christian Right wants to get rid of the Johnson amendment that prohibits clergy from using their pulpits to endorse political candidates. Focus on the Family characterizes Planned Parenthood with the following: “The Most Dangerous Place for a Child to Be Is Inside the Womb of a Woman Inside a Planned Parenthood Clinic” while others focus on the ripping of children from immigrant parents. Two universities win suit against Obama abortion mandate in the Affordable Care Act. I often state that religion is the last cultural barrier to gender equality. If you want some facts to back up that claim, just look at the United States’ standing in relation to issues like pay equity. Iceland, one of the world’s least religious country, has one of the best records on pay equity between men and women. What can you do about it? Are you an atheist? Does your family know? Do you talk about the mythology of all religions with friends? If we want to change the focus of the United States away from religion, we are all going to have to do our part. Join me in this effort.